If any company is interested in sponsoring, please contact sponsorship@cabsweb.org. When register, please enter your affiliation and name on your photo ID which is required at onsite check-in. Please register online. Online registration is free. Onsite registration is $10. Dr. Bin Chen is an assistant professor in the Institute for Computational Health Sciences at University of California, San Francisco. 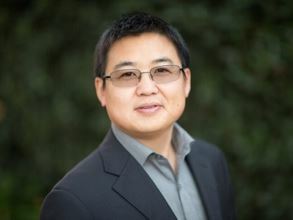 Dr. Chen is also the founding member of DahShu, a non-profit organization to promote research and education in data sciences. Dr. Chen trained as a chemist in college, worked as a software engineer before graduate school, trained as a chem/bioinformatician in graduate school, worked as a computational scientist at Novartis, Pfizer and Merck. He received his PhD in informatics at Indiana University, Bloomington and pursed the postdoctoral training in Dr. Atul Butte’s lab at Stanford University. His lab is supported by the BD2K K01, one R21, one P01, one U24, and one grant from L’Oreal. 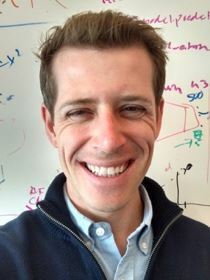 His work is recently featured in UCSF News, STAT, GEN, GenomeWeb and KCBS. The liver cancer drug discovery work is featured in the UCSF Magazine Winter 2018 and the UCSF Cancer Year in Review: 2017. More info is available on his lab website (http://binchenlab.org/).